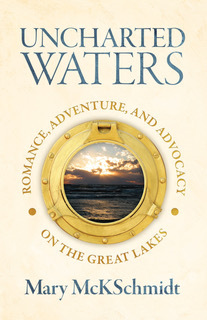 Author Mary McKSchmidt will discuss and read from her new book, Uncharted Waters: Romance, Adventure, and Advocacy on the Great Lakes, Saturday, Oct. 13 from 1-3 p.m. at Horizon Books in Traverse City. Mary McKSchmidt is an adventurer—a woman who has wandered across southern Africa; achieved success in positions typically held by men; hikes, bikes, and camps alone; and joins her fun-loving, equally-adventuresome husband on sailing voyages across the sometimes treacherous, always unpredictable, waters of Lake Michigan. When she discovered that Lake Michigan and all the Great Lakes are at risk, potentially damaged beyond repair, she replaced her briefcase, calculator, and business suit with a notepad, camera, and foul weather gear and embarked on a new adventure, this time to help create the political will necessary to clean up and protect the lakes. McKSchmidt’s Uncharted Waters is the story of a Fortune 500 executive learning to sail, learning to love, and learning to fight for the water and life she holds dear. It’s not just a love story, but also a call to action. It serves as a reminder that while we can live without many things, clean, safe drinking water is not one of them. FLOW asked Mary to explain how citizens can get active to protect the Lakes. 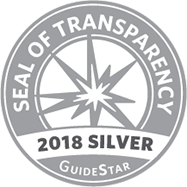 Mary is a former executive for Baxter Healthcare, a Fortune 500 company, who writes under the pen name “Mary McKSchmidt.” She is a contributor to Michigan Blue and Sail magazines, a former columnist for The Holland Sentinel, and has written op-ed pieces for MLive. Her essay “Behind the Lens of a Camera” was also selected to appear in the 2016 Bear River Review. The poet and photographer of Tiny Treasures: Discoveries Made Along the Lake Michigan Coast, along with her 2018 release Uncharted Waters: Romance, Adventure, and Advocacy on the Great Lakes, Schmidt is a natural storyteller who has shared her adventures with audiences at garden clubs, professional women’s organizations, state and county nature centers, assisted-living facilities, and environmental organizations throughout West Michigan. Her monthly blog and “Skosh of Poetry” may be found at www.marymckschmidt.com.